Do you love summer as much as we do? It’s a rare day when we can’t be found on the candle studio’s deck working or relaxing with a couple of our favorite candles and garden incense sticks keeping the bugs at bay. 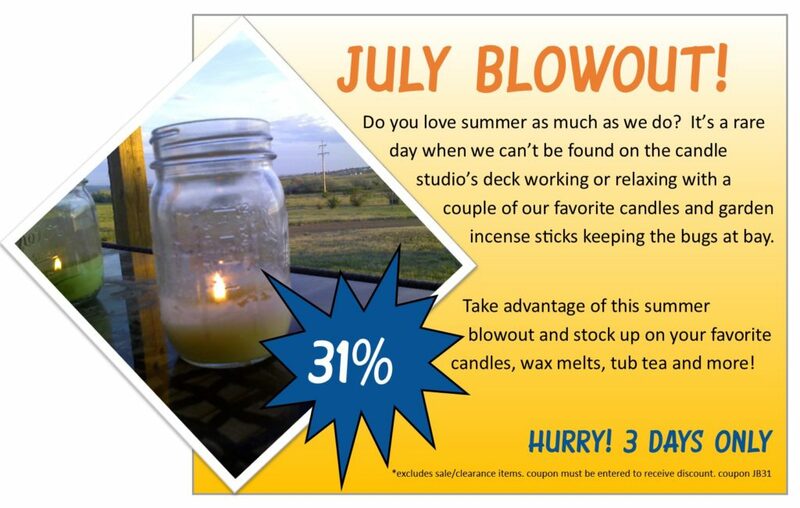 Take advantage of this summer blowout and stock up on your favorite candles, wax melts, tub tea and more! Previous post: Mosquitoes Ruining Your Day? Next post: Custom Scented Candles, Anyone?